With our slightly over-populated planet, pure drinking water is becoming an increasingly scarce resource. Even for those of us fortunate to be in the developed world, we shouldn’t waste water. Thankfully there are plenty of water saving gadgets that can help us use water efficiently. 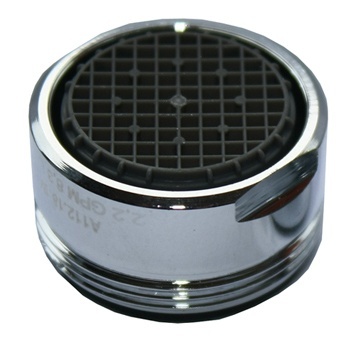 The Water Saving Tap Aerator DIY Kit is one such gadget. The water tap aerator is a simple-looking device that attaches to existing modern water taps, introducing air into the water stream to maintain pressure whilst using less water. Typical taps without an aerator produce a water flow of around 15 litres per minute. Using the water saving aerator kit will reduce the water flow to around 6 litres per minute, which means you can use up to 60% less water! If you just think how often you use your water tap…. brushing your teeth, washing your face, washing your hands, washing dishes, cleaning fruit and vegetables, and so on. That’s a heck of a saving in water, and if you’re on a water meter, you’re saving money too! Up to 60% less water usage, saving water and energy. You can purchase just the fittings themselves, or there’s a special kit you can buy which includes an easy fitting tool so that you don’t need any other tools. 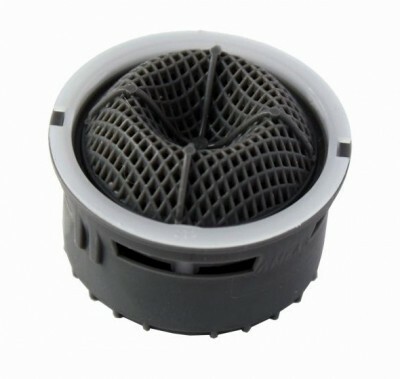 The aerating inserts are so simple to fit, any DIY-enthusiast will have the inserts installed in just a few minutes. The inserts are available for £5.49 each, and the kits are available for £19.99. The kit includes two water aerators for standard taps, one 2.2 water aerator for the shower and a tool for installing the water aerators. Prices for both include free delivery.